The Government’s recent fuel poverty strategy and Labour’s energy efficiency green paper have both set out ambitious plans to put an end to the cold homes crisis we face in this country. But are they ambitious enough? 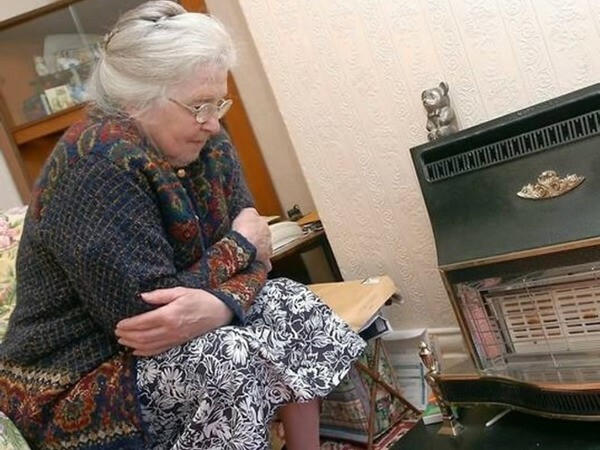 Current Government targets will take only 14 per cent of households out of the cold in the next three years. Labour’s proposed targets are set for another seventeen years from now – potentially a long time to wait if you’re stuck in a cold home. So the answer to that question is no. To put an end to cold homes, we need public policy to genuinely reflect this ambition. But where to start? The obvious target is landlords. The private rented sector has the worst energy efficiency levels of all housing types and the highest percentage of households in fuel poverty. One in five privately rented households in England are classed as fuel poor – that’s 760,000 homes. What’s even more concerning is that the number of families with children now renting from private landlords has tripled in the last decade; families now make up a third of all those who live in privately rented homes and could be unfairly subject to living in a cold and uncomfortable house with unaffordable bills. The potential rising levels of debt and pressure on personal finances, revealed in a report by PwC today, will also only exacerbate this issue. If a landlord cannot afford or chooses not to make improvements, tenants in fuel poverty literally have no way out of the cold. With no ownership of their own home, families have no choice but to suffer from poor health and an ever diminishing balance sheet. Tenants already have a right to request energy efficiency improvements for their rented accommodation, but this hasn’t been effective because landlords aren’t obliged to act. Local authorities similarly already have the power to force landlords to comply to the minimum energy efficiency standards set by government through ‘selective licencing’. But again, the existence of these licensing measures has evidently not been enough. Policing selective licensing is also resource intensive and not self-financing. It can be expensive for local authorities to prosecute a landlord, and even if the landlord is fined a maximum of £20,000, it very rarely covers the costs of prosecution. The shortfall of costs is borne by the local authority. We argue, in a paper launched today, that a much stronger and more citizen-led enforcement process needs to be put in place. Where the situation at home is particularly serious, such as a long-term health condition, or where there are vulnerable residents involved, such as a new born baby, tenants should have the right to not only request energy efficiency improvements, but also to enforce energy efficiency standards in their home. This right should also extend to GPs, social workers, health visitors and heating technicians, amongst others, to widen the referral and support network for those who really need it. The recent National Institute for Health and Care Excellence (NICE) guidelines recommend that GPs should refer and prescribe energy efficiency measures to patients who suffer as a result of a cold and damp home. We want to extend this to all professionals who interact with the tenant at their home and recommend that citizens report potential breaches of energy efficiency standards. This process of ‘citizen-led enforcement’ should be monitored by the local authority, and multiple reports should trigger a penalty charge on landlords who own two or more properties. This will give tenants a real ‘stake’ in a home that they do not own – a real opportunity to get out of the cold. But this can’t all be one way. We can’t give landlords the stick without also introducing a carrot. Currently, landlords can claim up to £1,500 under the Landlords Energy Savings Allowance (LESA) against tax every year for the costs of buying and installing certain energy saving products for rented properties where Green Deal finance is not used. The LESA is due to expire in April 2015, but we believe that this incentive is still required and should be extended beyond this time. The average cost of upgrading an E, F or G rated property (very low energy efficiency) to a C rated property (moderate energy efficiency) is £4,750, so we recommend an increased allowance of £4,750 for all landlords in order to match this cost, which should then be decreased to £3,000 after 2018 and to £1,500 after 2020, in order to fit in with interim energy efficiency targets and to prompt landlords to make improvements earlier. We have not seen this level of ambition from any political party, which is surprising given the impending General Election. We simply can’t leave people to suffer any longer, and targeting the private rented sector is an ideal place to start. The private rented sector has, itself, swollen due to the continuing sale of council housing stock to owners and developers. We used to have a large council house sector. They had standards to adhere to and a duty to house. Now we have ‘affordable housing’ that isn’t, privately rented ex council houses now owned by large scale slum landlords who don’t keep the properties in good order. Home ownership is less important than having decent and affordable housing especially in areas where costs are as punitive as London. Oh how terribly outpouring and I bet you feel all warm inside. We have had out house totally insulated, even the roof. We can afford to live (just). I am not (thank you Mr Wolfeson) rich. What would set my mind at rest is a decent electricity policy, not dependent on windmills which do not work, or solar when there is very little sun. I would welcome some open discussion on climate change too. Mr Miliband, Mr Cameron and Mr Clegg all voted for the idiotic climate change bill. Turning round and blaming Big Oil actually made me laugh at the sheer effrontery; now you are blaming landlords! You remind me of the Jewish joke: the boy who murdered his mother and father and then threw himself on the mercy of the court because he was an orphan. Ah yes, prices are not going up fast enough for you, and it’s all too affordable. You want “decent” coal, priced to keep the peons out, and banning all discussion of the science of AGCC which you deny. You’re mega-rich, right, (as you confirm again for the record), and no doubt you took a grant for the insulation anyway. All this in a discussion of something else entirely – rents. And it’s Yiddish joke – the term is Chutzpah. You resemble it, for your little diverting rant there.